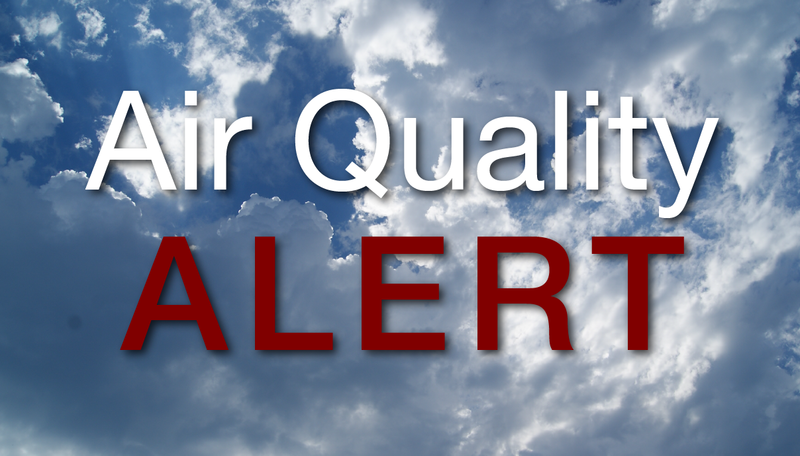 Air Quality Alert means free RIPTA fixed route service on Monday, June 24, 2013. The Rhode Island Department of Environmental Management is predicting that air quality will reach unhealthy levels in all of Rhode Island in the afternoon on Monday. A very humid air mass with west to southwest winds will be present at that time, which will lead to unhealthy air conditions. The poor air quality will be due to elevated ground level ozone concentrations. Ozone is a major component of smog and is formed by the photochemical reaction of pollutants emitted by motor vehicles, industry and other sources in the presence of elevated temperatures and sunlight. The Department of Health warns that unhealthy levels of ozone can cause throat irritation, coughing, chest pain, shortness of breath, increased susceptibility to respiratory infection and aggravation of asthma and other respiratory ailments. These symptoms are worsened by exercise and heavy activity. The children, elderly and people who have underlying lung diseases, such as asthma, are at particular risk of suffering from these effects. As ozone levels increase, the number of people affected and the severity of the health effects also increase. To avoid experiencing these effects, limit outdoor exercise and strenuous activity and stay in an air-conditioned environment if possible during the afternoon and early evening hours, when ozone levels are highest. Schedule outdoor exercise and children’s outdoor activities in the morning hours. Individuals who experience respiratory symptoms may wish to consult their doctors.